Stoke Sentinel reporter there says it’s a 2 horse race (Labour v UKIP), Brereton out of it. Labour just ahead by the looks of it. Stoke is about to declare! Clearly not in recount territory then. . .
Now THAT’S the sort of insight we need from our MPs! Actually sounds like quite a good answer to shut a journalist up. Hard to argue with! And let’s not reopen discussion on Nuttall’s honesty / dishonesty vs smears etc. . . Solid hold with a 12.4% majority. Maybe the Tories will be ruing that they didn’t try harder earlier; they could easily have taken 2nd and maybe run Labour close if they had. Labour knew what was going on, diverting resources to Copeland late on. Nutall was nearly beaten by the Tories lol. Still a pretty pathetic result for Labour. There was a Lab to Con swing when the latter didn’t even really try. In my opinion the only parties who can really be pleased with their performances are the Tories and the Lib Dems. Bye plopwell, you did promise you’d leave us forever. BYE. A decent result for Labour, the Conservatives and Lib Dems. It does little to change the current political position of these three parties. Labour held on, the Conservatives did very well for a party in government, and the Lib Dems gained the most, but not enough to claim a breakthrough. Given expectations, none of them lost out. A big lost opportunity for UKIP. Where do they go from here? And the Green campaign did not take hold. So not a huge change after all that. It seems the 2015 Ind 6.8% share probably did split 3 ways. The LDs also held their deposit and hurt the Greens. @NYT he has promised such things in the past but broken it. He’ll probably return under another name we’ve had Maxim Parr-Reid, Maxim, Conservative Estimate, Plopwellian Tory, what next. TBH I’d like him to stay because he does have constructive things to say but just not spam threads as much and not be so dismissive of those who don’t agree with him. I know I have got overly partisan in the past but I have tried to tone it down (hopefully successfully). Only the 6th time since 1970 that the Government party increases it’s vote share in a by election. 7th time very likely within next half hour! 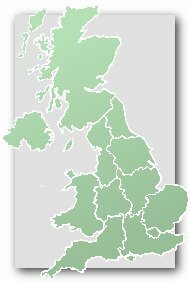 I don’t know if it was us (LDs) that hurt the Greens per se – I think it’s worth remembering that since 2015 Corbyn has happened, so some Green voters may have floated to Labour anyway and certainly more may be prepared to back Labour to keep UKIP out (a sentiment that I imagine dampened the LD gains a bit as well). I suspect most of our vote increase came from Labour. Given Nuttall’s gaffes I’m almost surprised UKIP’s vote held up that well, but I guess that’s how these things go. I don’t think this tells us much other than that – Nuttall being in third or with a really lowered vote share might have hurt UKIP seriously, but they seem to be holding onto a certain core vote remarkably well given their messaging “difficulties” in recent weeks and months. A relief for Lab – losing would have been a disaster – but otherwise poor. It shows how far we are from “normal” times that the main opposition breathes a sigh of relief for hanging on to a seat they have held for decades. A “good” result for the opposition in such a seat would be to see their hare of vote and majority increase by at least 5/10%, if not 10/20% instead of dropping 2/4%. In Stoke-on-Trent Central Labour won despite Corbyn. In Copeland Labour lost because of Corbyn. A perfect storm for his leadership. Interesting that Labour retained a larger share of their 2015 vote number in Copeland than in Stoke Central – 69% vs 64%. That won’t be how the lazy media will report it – as if they’d even notice! Showing that Copeland was a higher quality campaign with a better Labour candidate as well as higher stakes and less smear campaigning than in Stoke, which no doubt suppressed UKIP and also increased swing to WNV from all parties I suggest. Stoke – Labour won with 14.3% of the electorate. Copeland – Labour lost with 19.2% of the electorate. Does anyone know if that breakdown of postal votes given earlier was accurate? – or if not what they were? Thanks Alex – but that still doesn’t tell us whether the postal vote breakdown Lab / UKIP / Cons was in fact 31/29/29% as a Labour councillor was allegedly reporting at 1.00 time (see a couple of pages back). I think you’d have to send an email to Stoke council to confirm that information. His position shouldn’t be safe after losing Copeland to the Tories on a 7% swing but the Tories will be delighted if he stays in position. 38% is actually a pretty good turnout considering the weather, the uninspiring choice of candidates, and that this had the lowest turnout of anywhere in 2015. Turnout was much higher at the EU referendum so maybe that has encouraged a few more people to get engaged with politics which has to be a good thing. From this result it seems the Tories have an excellent chance of winning both Stoke South and Newcastle-under-Lyme at the next general election if they put the resources in. Like Copeland I did reasonably well calling this result too. Labours vote did not “crater” as some expected. Perhaps as I speculated, the controversy over Hunt had already peeled away the soft support. UKIP managed to hold their vote with a high profile campaign despite Mr Nuttall’s negative press – but struggled to pick up any votes from anywhere else. The Conservative vote stayed solid – though I somewhat doubt that the PM will be investing in any more days out to Stoke Central. The Lib Dem vote picked up somewhat. Taken together with Copeland and the other by-elections since 2015, UKIP clearly have major issues going forward, not least with the Conservatives adopting a UKIP lite position. For Labour they may prove as Pyrrhic a victory as Eastleigh by-election was for the Lib Dems. Its retention makes it hard to remove Corbyn – but without that step, Labour does not appear to be able to make any progress : indeed probably the reverse. Not as interesting as Copeland this. Despite what certainly boosters are saying this is an absolutely rank rotten result for UKIP in general and Nuttall in particular. A lot was made of Snell’s silly social media use, usually by Kippers who would have cheered one of their own candidates saying the same, but he was otherwise a solid candidate who ran a capable campaign. Best you can say for UKIP us that despite having one of the worst campaigns any of us have ever ever seen, they still got second. That would ordinarily be cause just to quietly bin the candidate for any future seats but, er, he’s the party leader. Surely there has to be someone better on offer? If not the party is stuffed because where else do they have a better chance of winning from Labour? They’re probably quietly content though – and now have a better idea of what they can expect to achieve in such seats in the new political climate we are in. A middle class protest party has no future in a political environment that will increasingly be shaped by identity politics. I doubt the council has that information. It was probably just a rough estimate from someone doing sampling. Postal votes are supposed to be mixed in with other votes before being counted AFAIK. 1/ Given Nuttall’s problems and the number of activists they flooded the seat with I am a bit surprised Labour didn’t achieve a slight increased vote share. But they did get enough of their vote out to win comfortably enough and for that some credit must go to the local campaign. 2/ UKIP’s result fits into the pattern of them struggling to defend their 2013/14/15 vote rather than building on it. In that context this wasn’t their worst recent result. To regain momentum they must be secrectly hoping May makes a mess of Brexit. 3/ John Curtice makes a very valid point on the flaw in UKIP’s strategy of targeting Labour leavers – namely that they are a much smaller group than is often assumed and that, actually, to win seats like Stoke what they need to do is consolidate the non-Labour vote around them rather than focus on direct LAB>UKIP switching. However, it is hard to see how they address that at this particular in moment in time whilst the Tories are riding high in the polls. 4/ I think the Tories did try harder than has been assumed. What they may regret is not signalling more clearly that they thought they could win until the LAB v UKIP narrative had taken hold. But in any case I don’t think a win was realistic – it would have been a completely off the scale extraordinary result. 5/ Some LDs were ramping this as them having a chance. The result must, then, come as a bit of a reality check. They are starting to rebuild and make some inroads into the remainer vote, but they aren’t coming higher than 4th in places like Stoke any time soon. I can see John Curtice’s point, but being a ‘Leaver’ isn’t the only type of Labour supporter that UKIP can attract. There was a lot of talk in Stoke reported about ‘Labour having done nothing for us all these years’ and I am fairly sure that Nuttall would have won had the campaign not turned very publicly away from Snell’s tweets etc. and against Nuttall on a national as well as local scale. In that sense, Snell may already be on borrowed time – though whether Tories or UKIP stand to gain the seat at the next GE (if anyone does, I mean) remains to be seen. UKIP can at least be thankful that another narrow 2nd place finish keeps them relevant, otherwise the talk would have all been about ‘decline’. Well, there are few UKIP supporting Remainers and I don’t think it is very realistic to expect that to change! I therefore think Curtice is completely right on UKIP. On Labour I’m not fully convinced by his argument, essentially that they are better off chasing the Remain vote. This might be the best way of keeping the 25% of so that still support Labour today on board as this group is overwhelmingly Remain and perhaps tempted by the Lib Dems. But winning an election requires a lot more than that and almost certainly requires them to win a reasonably sized chunk of Leave voters. I’ve heard of many UKIP supporters over a period of time who support UKIP for completely different reasons to the EU. For a start, they are not the establishment, they sound more like the working class than Labour, and they drink beer comfortably in working class pubs . . . jokes apart, their policies are becoming more leftwing economically (whilst right wing socially – perfect for many ‘old Labour’ types), though they need to keep their voice heard, something they’d struggled to do since Brexit until Stoke came along. Still, my point is that you seem to have (unusually for you) a very sterotypical view of potential UKIP supporters which is extremely narrow. They still have a lot of ‘NOTA’ appeal, perhaps their biggest advantage.